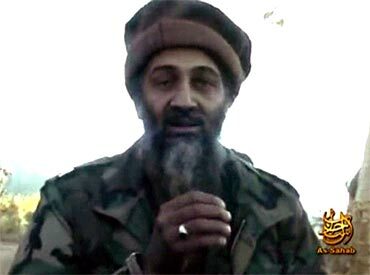 Osama bin Laden put Islamist 'holy' war on the global agenda and became a household name after the Saudi-born zealot masterminded the deadliest terror attacks in history before the world's most wanted terrorist was finally brought down in the largest and longest manhunt ever. Reviled in the West as the personification of evil, bin Laden, the leader of the dreaded Al Qaeda who was believed to be around 54 years, had emerged from obscurity in a matter of three years on September 11, 2001 when the spectacular attacks on the United States leaving more than 3,000 people dead and hundreds more injured gave him a cult status. Bin laden, who was born in 1957 but the exact date is unknown, had issued a fatwa in 1998 -- religious edict -- on behalf of the World Front for jihad against Jews and Crusaders, stating that killing Amercians and their allies was a Muslim duty. Despite being a thorn in Amercia's side, bin Laden, the 17th of 52 children of multimillionaire builder Mohammed bin Laden, was admired and even revered by some fellow Muslims who embraced his vision of unending jihad against the US and Arab governments he deemed as infidels. Mohammed, a native of Yemen, who immigrated to Saudi Arabia as a child, was responsible for 80 per cent of construction of Saudi Arabia's roads. 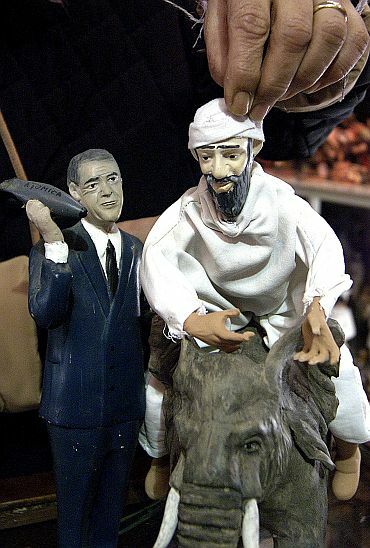 Bin Laden was the nemesis of former US President George W Bush, who pledged to take him "dead or alive" and whose two terms were dominated by a "war on terror" against his Al Qaeda network. Though he was forced into hiding after 9/11, the attack on US served as an inspiration for a global jihadist movement that would grow far beyond any need for his guiding hand. "I can be eliminated, but not my mission," bin Laden, who eluded capture for years, was famously quoted as saying in an interview with a Pakistani journalist conducted shortly after the US invasion of Afghanistan. Whether hated as a terrorist and mass murderer or hailed as the champion of oppressed Muslims fighting injustice and humiliation, bin Laden changed the course of history, which made the US and its allies rewrite their security doctrines. His end came after tireless efforts by US agencies. 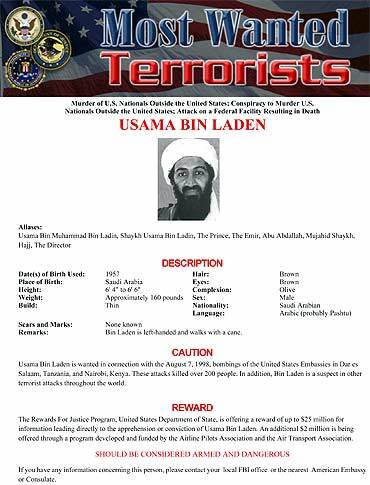 Even before 9/11, bin Laden, the thin, bearded and over six feet tall man who aroused the passions of young Muslim radicals the world over, was already on the Federal Bureau of Investigation's Ten Most Wanted Fugitives list. He had been implicated in a series of deadly, high-profile attacks that had grown in their intensity and success during the 1990s. Bin Laden once reportedly slipping out of a training camp in Afghanistan just hours before a barrage of US cruise missiles destroyed it, His actions set off a chain of events that led the US into wars in Afghanistan, and then Iraq, and a clandestine war against extreme Islamic adherents that touched scores of countries on every continent but Antarctica. America's entire intelligence apparatus was overhauled to counter the threat of more terror attacks at home. Bin Laden's Al Qaeda organisation has also been blamed for the 1998 bombings of two US embassies in Africa that killed 231 people and the 2000 attack on the USS Cole that killed 17 American sailors in Yemen, as well as countless other plots, some successful and some foiled. Perhaps as significant was his ability even from hiding to inspire a new generation of terrorists to murder in his name. Most of Al Qaeda's top lieutenants have been killed or captured in the years since Sept 11, 2001, and intelligence officials in Europe and Asia say they now see a greater threat from homegrown radical groups energised by bin Laden's cause. Bin Laden became known as the most pious of the sons among his wealthy father's 54 children but his path to militant Islam began as a teenager in the 1970s when he got caught up in the fundamentalist movement then sweeping Saudi Arabia. He was a voracious reader of Islamic literature and listened to weekly sermons in the holy city of Mecca. He joined the Afghans' war against invading Soviet troops in the 1980s and gained a reputation as a courageous and resourceful commander. Access to his family's considerable construction fortune certainly helped raise his profile among the mujahedeen fighters. 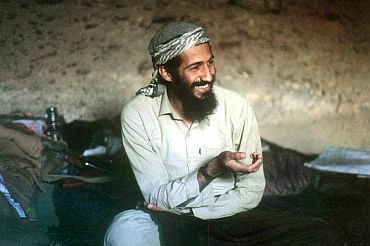 At the time, Bin Laden's interests converged with those of the United States, which backed the "holy war" against Soviet occupation with money and arms. When bin Laden returned home to Saudi Arabia, he was showered with praise and donations and was in demand as a speaker in mosques and homes. A seminal moment in bin Laden's life came in 1990, when US troops landed on Saudi soil to drive Iraq out of Kuwait. He tried to dissuade the government from allowing non-Muslim armies into the land where the Prophet Muhammad gave birth to Islam, but the Saudi leadership turned to the US to protect its vast oil reserves. When bin Laden continued criticising Riyadh's close alliance with Washington, he was stripped of Saudi citizenship. 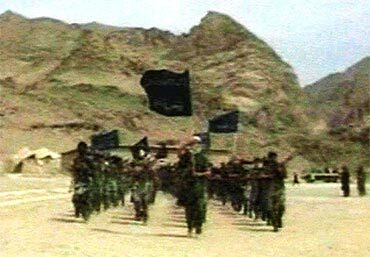 In his familiar terrain in Afghanistan allowed in by the government of Burhanuddin Rabbani, bin Laden and his Al Qaeda network prepared for the holy war that turned him into Washington's No 1 enemy. When the Taliban who would eventually give him refuge first took control of Kabul in September 1996, bin Laden and his Arab followers kept a low profile, uncertain of their welcome under the new regime. 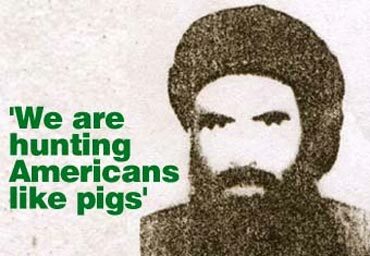 The Taliban leader Mullah Mohammed Omar called bin Laden to southern Kandahar from his headquarters in Tora Bora and eventually through large and continual financial contributions to the isolated Taliban, bin Laden became dependent on the religious militia for his survival. In Afghanistan, he would wake before dawn for prayers, then eat a simple breakfast of cheese and bread. He closely monitored world affairs. Almost daily, he and his men Egyptians, Yemenis, Saudis, among others practiced attacks, hurling explosives at targets and shooting at imaginary enemies. He also went horseback riding, his favourite hobby, and enjoyed playing traditional healer, often prescribing honey, his favorite food, and herbs to treat colds and other illnesses. In Afghanistan, bin Laden was often accompanied by his four wives the maximum Islam allows. Estimates on the number of his children range up to 23. Al Qaeda's first major strike after bin Laden returned to Afghanistan was on August 7, 1998, when twin explosions rocked US embassies in Kenya and Tanzania. 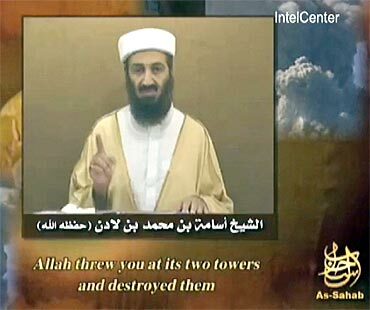 Just hours after the US assault on Afghanistan began on Oct 7, 2001, bin Laden appeared in a video delivered to Al Jazeera, an Arab satellite television station, to issue a threat to America. He reappeared in a video appearance broadcast by Al-Jazeera on Dec. 27, 2001, shortly after U.S. forces apparently had him cornered in Tora Bora, a giant cave complex in eastern Afghanistan. Hundreds of Al Qaeda suspects are believed to have escaped the massive US bombing campaign there, and bin Laden is believed to have been among them. 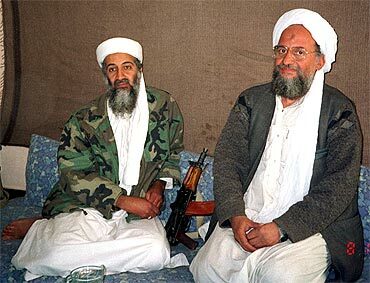 During the past decade, bin Laden and deputy Ayman al-Zawahri have appeared regularly in audio and videotapes to issue threats, and comment on a wide range of current events, although the appearances trailed off in recent years. 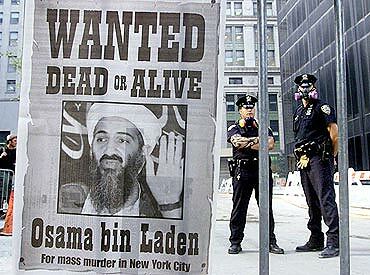 Is Osama dead more dangerous than Osama alive?